Why? 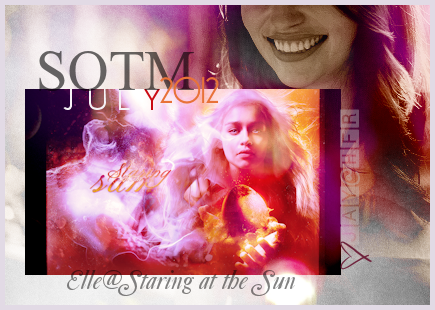 : When I first visited Elle's site I was just blown away with her layout! Each time, her layouts are absolutely gorgeous! She is extremely talented. Each one of her art pieces are so stunning. She puts so much in each of her pieces. I can never choose which one I want to use for my desktop. They are all so beautiful. Visit her site and you will see what I am talking about. Why? : Leca has become one of my favorite graphic makers. Her use of textures is lovely, and she creates the most awesome wallpapers. I truly am in aww of everything she creates. She is such a sweet, amazing person. Why? : We have quite a few shows and books in common. She has many beautiful art pieces, and by that I mean all her art. :happy: She not only shares her amazing art with us, but also offers terrific goodies for other art makers. 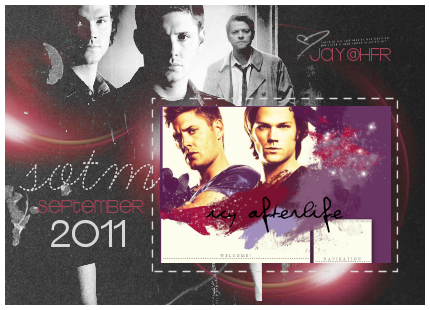 Her current layout features the hott Winchesters from one of my favorite shows Supernatural. :inlove: It is awesome! Head over to Laurens site and take a look around. Why? : I really love every piece she creates. The coloring and blending is beautiful. Her current layout is absolutely gorgeous! Every time she updates, there is plenty of amazing art to enjoy! Spikeholic's an all around great person and I am glad to have her as an affie. Why? : Starlight has soooo much talent. Every piece of art she creates is beyond beautiful. Her coloring and use of textures is flawless. I'm a huge fan of her work. 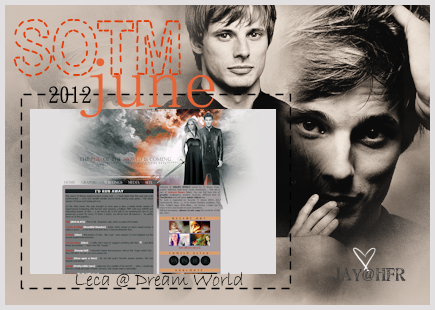 Her layouts and coding are always amazing. She is also a really kind person.